Welcome to a small train station located on the distant outskirts of Oslo. This past September I spent a weekend in Oslo, Norway with my friend Amy, and finally here come the posts to document it. As you can clearly see, this isn’t Oslo. We landed at an airport a fair bit outside of Oslo because the flights were so incredibly cheap. £21 each way, that’s cheaper than a train ticket to London. It actually cost more to get from the airport to Oslo Central Station than it did to fly from Liverpool John Lennon Airport to Sandefjord Airport! I didn’t mind at all however, as we got a view of Norway outside the hustle and bustle of the capital city, and as you’ll see, the train ride was a scenic journey through hills and fjords. 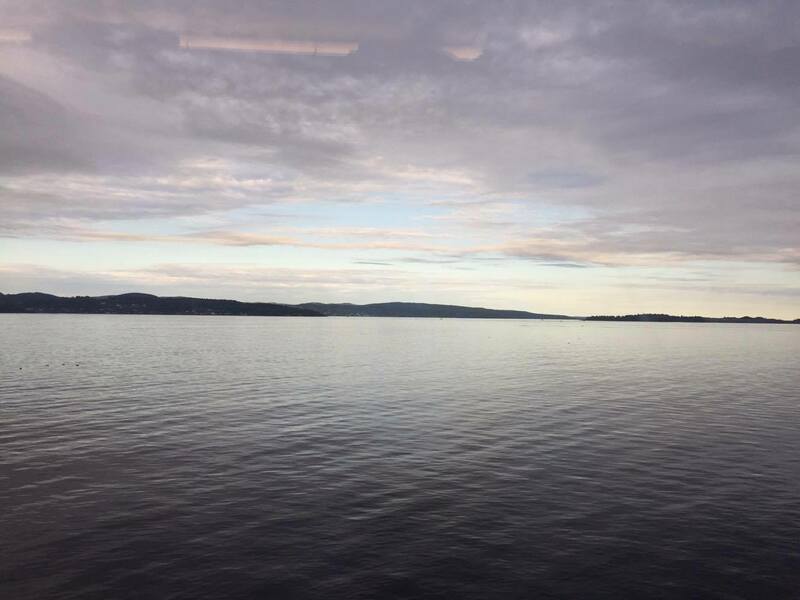 The train into the city provides some spectacular views, you’re as close to the fjord as you can get, all whilst in the comfort of a luxury train. All trains are luxury compared to the one’s we deal with in the UK. Scandinavian architecture is beautiful. The facades of many buildings feel similar to those in the UK, however these are far more colourful. Trams and buses dominate the city! We didn’t utilise them much as Oslo isn’t an overly large city, it’s great to be able to get around on foot so easily. The area you’re looking at in the above picture is a stone’s throw from Oslo Central Station- it’s a safe bet you’ll be arriving into the city via there. The Oslo Marathon was held on our first full day there! At this point I was still waiting to hear back as to whether I had been successful or not in obtaining a place in the London Marathon 2017 (spoilers: I wasn’t), it got me hyped for the possibility of running it. I can’t run 26.2 miles, I was kidding myself. Maybe one day! Norway’s Parliament is located in Karl Johans gate, however it sadly was shut on the day we were visiting. It seemed to only be shut for three days between September and the end of the year, of course one of those happened to be the Saturday we stood outside the entrance bang at opening time. Whilst not as grand as many other Parliament buildings I have visited, it still was quite an intimidating place. The area surrounding Karl Johans gate and Parliament is picturesque, it’s truly like something out of a fairytale. However it was covered in fences to make a marathon track, as well as stages for commentators, toilets and medical tents for the competitors. Directly across from Parliament is the National Theater! After a failed Parliament trip, we headed to City Hall! This was about a 3 minute walk from the Parliament – continue down Karl Johans gate to the National Theatre, and the City Hall building is down the road to your left. There’s a snowball’s chance in hell that you’d miss it. You don’t even need to go inside to get a feel for this building. It’s decked out in lavish carvings, statues and traditional clan symbols. The inside is breathtaking. Marble floors, walls featuring murals in every colour possible, it’s otherworldly. Floor of marble, even in the hallway to the toilets. Oslo City Hall has style. Much like me in these, sadly long gone, ASOS Chukka Boots. Behind the city hall sits Oslo fjord. This room feels like it’s from a completely different building. The vibrant colours and marble are things of the past now! Except they’re not at all. Every inch of this room was covered in vibrant paint. Outside the City Hall stood glittery streamers. No clue why, but they’re cool. As was this food truck called ‘Ice Crime’, if I had a band I’d like to call it that. A stones throw behind City Hall we found the Marathon! The pale yellow building in the back was our next destination, the Nobel Peace Center, not to be confused with the Museum in Stockholm- which will be featured on here at some point. Getting there was as hard as you’d expect when you have to cross a stream of runners. You get a sense of grandeur before even entering. The bottom floor contain an exhibition on Carl Von Ossietzky, the recipient of the 1935 Peace Prize. A controversial decision at the time, as Ossietzky was deemed a traitor to for spreading word of his findings of the re-arming of Germany. A journalist, Ossietzky used his words to fight. Issues of one of Ossietzky’s publishings. If you have time, I suggest you read into Carl Von Ossietzky’s work and life. It really struck a cord with me. On the ground floor was also an area to sign postcards directing to the U.N. calling for release/acceptance of many so-called whistleblowers. Snowden is probably the most famous of the bunch, at least in the Western world. I studied Snowden, and wrote many pieces of ‘whistleblowers’ and their role in counter-terrorism many times at University. This was something I was very interested to see. On one set of stairs walls are adorned with thoughts of peace from visiting children. This room is probably the most famous of all in the Nobel Peace Center. Blue lights pulse and dance around the room, as information and pictures of every single prize recipient are displayed on tablets. A major feature on the second/top floor was on the Syrian refugee crisis. This quote comes from famed activist Malala Yousafzai. I’ve said it many times, I am Malala is probably the best book I have ever read. I can’t recommend it enough, she’s such an inspiring woman, I have nothing but respect and love for her and her work. The Nobel Peace Center is practically in the fjord, it’s so close! 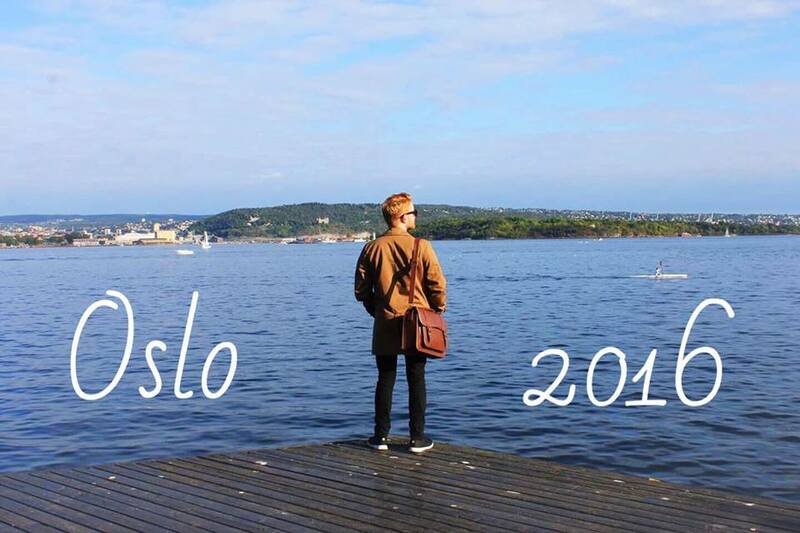 My next travel posts consist of visiting Stockholm on a separate trip! Wait for those! It’s refreshing to explor capital cities that aren’t incredible crowded like our very own London. Stockholm has a similar vibe, especially as the population of Sweden as a whole is about the same as London. Mad isn’t it!? Next time we begin at the Royal Palace, see you there!